what a gorgeous and romantic card, dearie! so striking! Gorgeous card Pat, I love the image and beautiful papers. 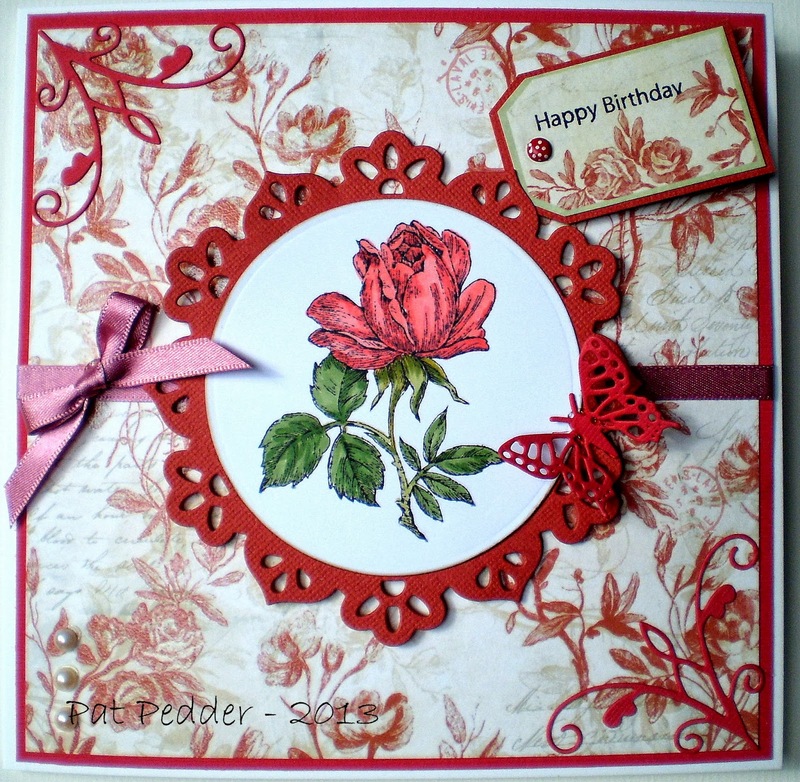 Love your Roses card, Pat - the backing paper compliments your gorgeous stamp so well. That's beautiful Pat. Fab papers, lovely design and gorgeous colour scheme. Your card is beautiful Pat, I love the background paper and dies. Your colouring is fabulous. 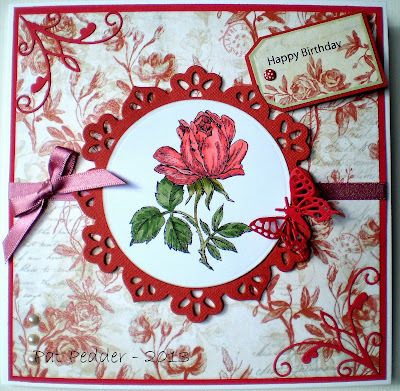 Gorgeous card, Pat - the beautiful image & papers are perfect for our challenge this month at the Hobby House! Thank you for joining us and Good Luck! Hey Pat - as you can see I am running late!!! Boy did you ever do a good job with your coloring of that gorgeous rose. I love the paper you have used! !